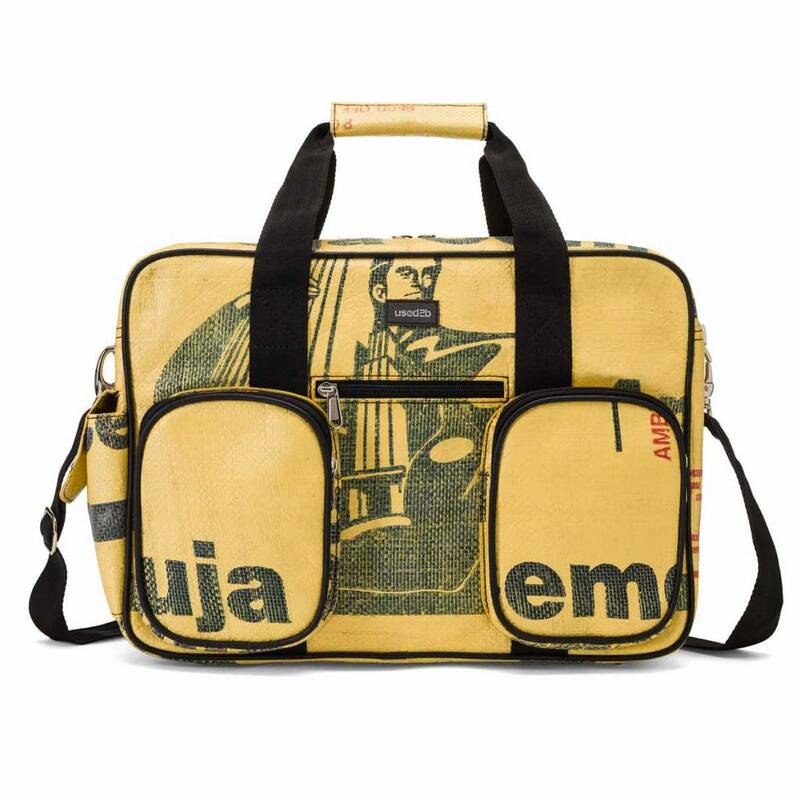 Upcycled diaper bag made out of cement packaging Ambuja. 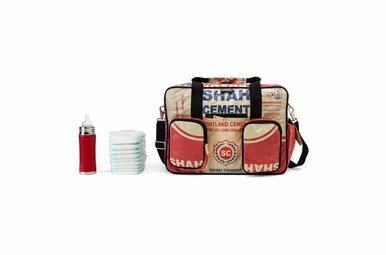 This robuste recycled baby bag made of used cement bags, is bound to draw attention. Easily storing and organizing all baby's essentials with this eco-friendly tote featuring plenty of interior pockets for diapers, wipes, toys and bottles. While the 2 main front zipper pockets allow quick and easy access to essentials on the go, a “secret” zipper pocket on the back allows you to hide your valuables in a secure place. Three inside open pockets for diapers, wallet, keys etc. Removable and adjustable extra long shoulder strap, short handles.